After her final stint in Game of Thrones as Sansa Stark, Sophie Turner will gear up for her Hollywood movie, Dark Phoenix. While the mutants are back with a new tale, this time the story revolves around Jean Grey. From a vulnerable teenager to someone who starts enjoying the dark side of hers, the story is about how she creates havoc in the lives of X-Men and how they try to win her back. After its intriguing trailer, a new TV spot screened at CinemaCon features additional snippets that are equally mind-boggling. 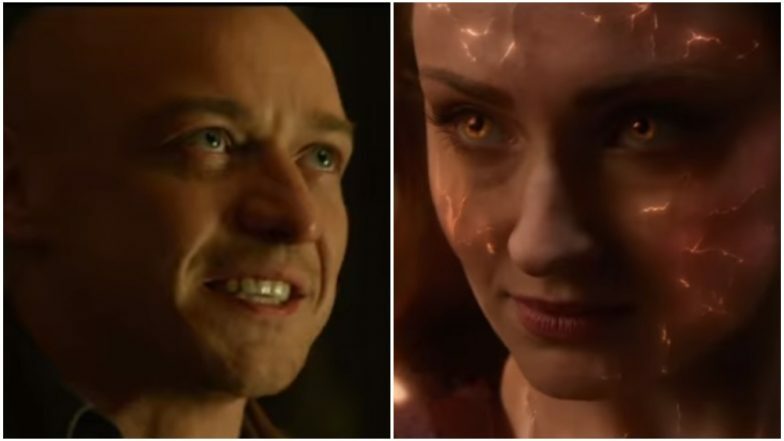 X-Men Dark Phoenix Trailer 3: Sophie Turner and Jennifer Lawrence's Superhero Movie Looks Interesting, FINALLY! - Watch Video. In addition to Jean aka Sophie Turner revealing her dark side and how she's enjoying it, this new spot also sees Magneto (Michael Fassbender) in a location that we believe to be Genosha, Beast (Nicholas Hoult) growling, and more. Jean is taken over by a phoenix force in space that brings these dark changes in her. This time the X Men are fighting one of their own and the plot will only thicken with the time. Dark Phoenix: Not Just Mystique, More X-Men to Be Killed in the Movie, Hints Jessica Chastain - Watch Video. Dark Phoenix is all set to hit the screens on June 7 and the new TV spot has only piqued our interest further. Will be bid adieu to Jennifer Lawrence's character? We think so and it's harsh news for all her fans. But let's hope for the best and keep praying for June to arrive very soon.